I don't think Hats Off, Gentlemen were a particularity obscure band, they definitely made their rounds around the internet and for pretty good reason. Hailing from Vancouver BC, and active... 2006-2011 I'm guessing? Spawned from the ashes of indie Sunday Morning Paper. I'm trying to think of who to relate them too. The vocals are kind of Saetia style, not in similarity of vocals, but the singing screaming style. The instrumentals are all pretty well done, and cleanly produced. 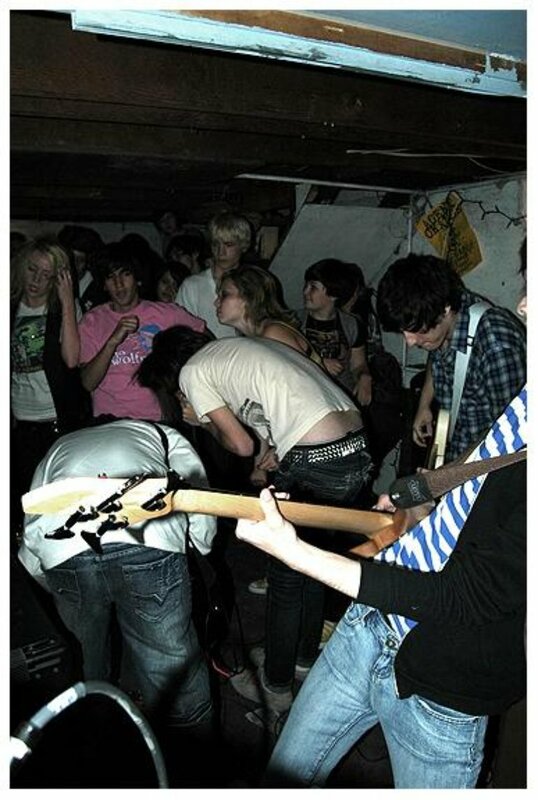 It's not your basement tracks emo, but it's still really heartfelt and not overdone. I was actually internet friends with the lead singer of this band way back in the day and we would exchange emo tracks before this band was a thing. He was a pretty cool dude, and it all culminated in me seeing them live here in Calgary in 2007 (barely any emo bands ever came to Alberta back in those days.) It was a good show, I think Graf Orlock played too, or I'm totally making that up. I had some early demos that he sent me, but they've been lost with time. Instead I have their official demo and some scans of the lyrics. You can read them and listen and cry along. I'm not sure if they released anything else. Enjoy, definitely worth a download!